In today’s episode: I explain Geocaching, and the science of hearing your own voice. Scientific American: Why does my voice sound different? Thank you to Shaine, Jennifer, Jonathan, Twine Radio, The Simplifiers Podcast, Leslie, Pamela, Herb, Nelda, Emma, Rich, Amy… all of who have liked, favourited, commented, or IM’d me over the last few days. Please support our 24 Hour Pool Marathon this Thursday! 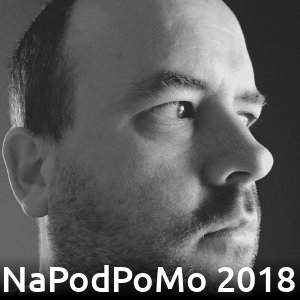 Tomorrow, I’ll be having a chat with Al about his NaPodPoMo journey, please join me if you can.